It’s that time of year! Homecoming dances are creating some beautiful pictures as high school freshman, sophomores, juniors, and seniors dress up in their formals, wear a little extra sparkle and makeup, get together and enjoy a fun night of dancing at the school. This group of dance goers from Horizon High School is a great group of friends with freshman kids all the way to senior kids. The weather was chilly, but they toughed it out for some captivating, gorgeous photos. 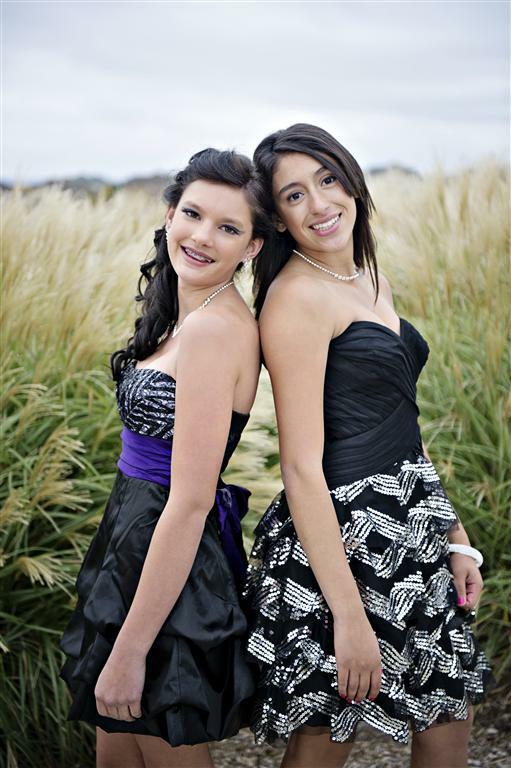 These homecoming and prom photo session are a blast – we get creative group photos, best friends photos, couples pictures, and captivating portraits of each member of the group. What better way to remember such a fun evening? Inquire about special packages for Homecoming and Prom for your group.